I thought you might be interested in looking at Ford ranger blow through. Looking for new front stage drivers. Adire Audio - Andrew G.
To jump start this section again, our next member spotlight is Andrew G. of @Adire Audio he is the new owner of Adire and SBS Acoustics. A brief introduction to the all new SSA Demon, but first a farewell to its predecessor. Our very long running SSA Dcon has ridden off into the sunset, or at least taking a breather. 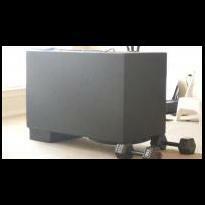 The SSA Dcon was our second subwoofer model we ever launched. At the very beginning, we had the Icon and as it gained traction we saw there was a need for a pure SQ sub of more modest power rating than that the Icon. So in early 2008, the first SSA Dcon was launched. (The Xcon followed shortly after). That being said, the Dcon was almost an immediate hit, with a long 2" copper coil (rarity to have one made in the USA) triple stack motor, rear vent. The Dcon was very affordable, well made, quite efficient, clean across the entire range, and flexible with enclosure demands. It is interesting as there are some SSA Family members who swear by their Dcon and will not give it up ever. (It even became a favorite of some of the home audio crowd). All that being said, the Dcon evolved a bit for its second generation, we made a leap forward in motor force moving to what is best described as a scaled down Xcon motor, with a large single slug, solid pole, and deeply bumped back plate, while beefing up the suspension and leads. We were able to bring the power handling up 33% while not hurting the sound that made the Dcon successful. There was a stretch of a few years, before we ran out of stock, that the SSA Dcon 12 was our all time best selling subwoofer. So its existence was very important to SSA. Well with changes in the market (read:customer demands and amps getting much cheaper), as well as sky rocketing material costs, building the Dcon in the USA no longer was an option, so production stopped early 2017 for both the Dcon (and Gcon) and inventory ran out later that year. Late last year, due to the long lay off with out the Dcon (and Gcon), we started development of an updated Dcon at a new build house. The quality and performance of our SSA Evil1 tweeters were above our expectations, so we decided to send more production to that same build house. As we saw that the market slowed overall for modest power rated subs due to power getting cheaper and people wanting higher power handling subs, so the market began to really start heating up in the 500 - 1200 watt range, I knew we needed to address it. There is an 8" model developed, but it will not make it this first production run. The new model had to handle more power and have more xmax while not sacrificing the balanced and clean sound the Dcon had established for nearly a decade. That meant larger motor, larger coil, more suspension, larger leads, thicker cone, taller surround, etc. In the end, all of the changes that happened to the over all design, we could no longer call it a Dcon. In sticking with the theme of the Evil, a model name that has become so well known, while respecting the Dcon, the Demon name was selected. The Demon is a great blend of the previous Dcon and Xcon, both in design and appearance. In prototype testing, the SSA Demon thrived smaller to mid-sized ported and mid-sized sealed enclosures. 2.5" copper coil Aluminum former Aluminum Shorting ring Solid pole, non-vented bumped back plate Large single slug motor Pressed pulp cone Tall roll surround Push terminals Dual Nomex progressive spiders Stitched tinsel leads Large dome dustcap I will list T/S specs and enclosure recommendations shortly. We are very excited about the SSA Demon as it bringing back to our line up a pure sound quality subwoofer that will be affordable, while still having the characteristic SSA warmth and output.